I read knitty.com all the time. If you don't know it, check it out. 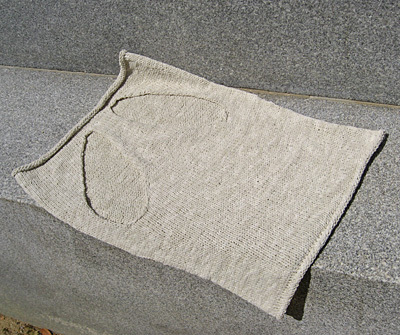 They have free knitting patterns, most of them intermediate level. I love the diversity of the patterns they display. On Knitty there is something for everyone, from socks to shawls to cable knit coats. This pattern takes the cake though! (I mean it too, exclaimation point and all). Look at that! 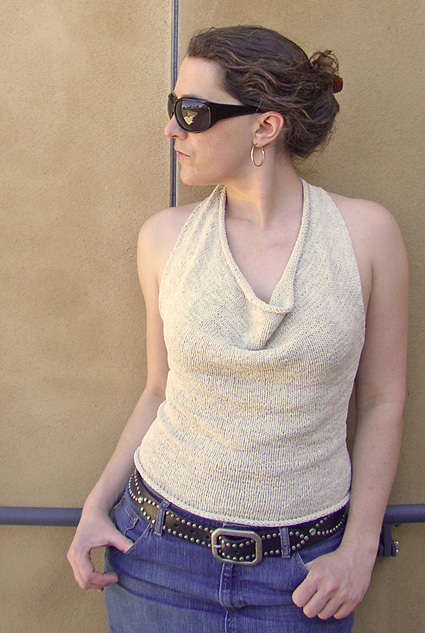 It's a racer-back tank top with a cowl-neck. You just slip your arms through the holes and boom! You get a great looking top. Wow! I am going to go search my stash for something good!